Like the L55, the Junkers L88 was a twelve cylinder engine which was built up from two Junkers L8 engines, which were arranged in V-Form. Compared to the L55 the L88 offered additional 25% power and was therefore the designated engine for G38 in 1929. A gear system for the propeller was used at stages of 2,47 and 1,44, which already were used on the L8 engine. Just a few L88 engines were built for engine tests and for the equipment of the Junkers G38. They all were removed in 1932, when the improved L88a became available. However, the Mitsubishi Aircraft Factory in Japan bought a license agreement from Junkers for the L88. In Japan the L88 was built under license for the Ki20 Bomber, which was also a Junkers derivate of the G38. In 1932 a further improved L88a engine was supplied. This engine had a single stage loader Gt5. It was available with or without a remote propeller gear shaft and got several detailled refinements against the L88. The L88a replaced the L88 on the G38 in 1932 and it was also used on the Ju49. The Junkers L88 was the last of the Junkers L-Series Engines, even if the Jumo 210 sometimes also was called Junkers L10. 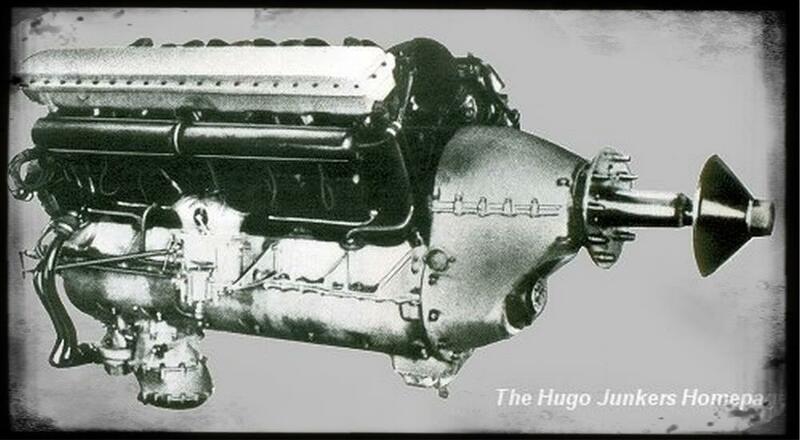 During the years between 1929 and 1932, when the Jumo 210 became available, Junkers concentrated on the developement of Diesel engine designs. the L55s were later changed to L88 engines. The second G38 instead got the further improved L88a engines. Both aircraft later got the Junkers Jumo 204A. for the high altitude experimental aircraft Ju49ba. Finally the further improved L88a was used on that aircraft. The single engined Ju52/1m was orignally designed with a L88 engine. Due to still existing trouble with this engine, the design was changed to BMW engines. The prototype D-1974 later was equipped with a L88 engine. This version was designated Ju52/1mca and Ju52/1mda. No further utilization of the L88 is known on the Ju52 series.